I love finding unique gifts to give the boys for Christmas. A gift that will become a keepsake is the best gift to give. 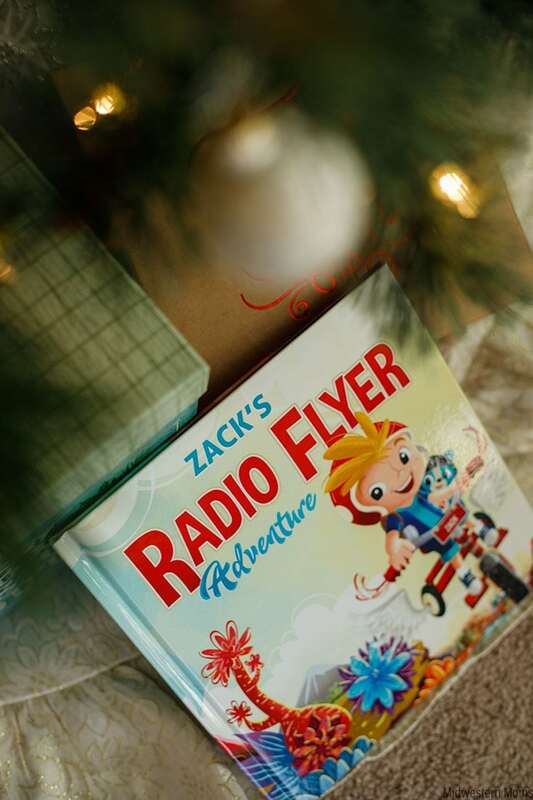 That is why I love the personalized Radio Flyer Adventure book from Radio Flyer! It is a book my son will enjoy and treasure as he gets older. My youngest son loves riding his trike around outside going on different adventures. He usually has bits of wood pieces in an old tin can on the back of his trike. Those are his maps and he uses them to explore different places he wants to go. So when I was choosing a Radio Flyer Adventure book, I had to choose the trike. It was very easy to customize the book. You can choose the gender of the child in the book, as well as hair and skin color. 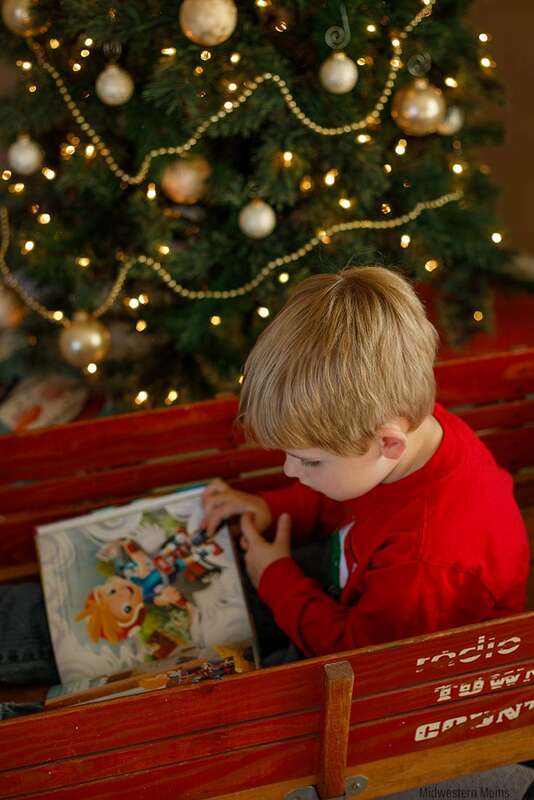 You add in your child’s name to help personalize the story. What is your child’s favorite Radio Flyer vehicle? You can choose from trike, wagon, or scooter. Add who the book is from and what year you are giving them the book and your order is complete! It was SO easy to order!! 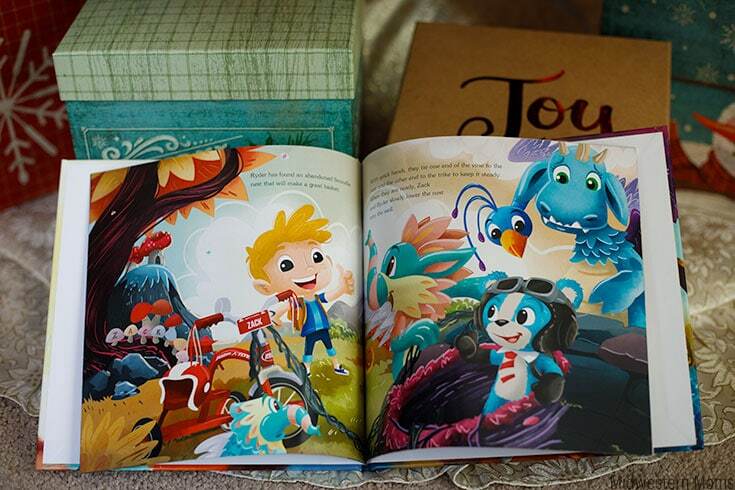 All the customizations ensure that your child’s story is unique! Plus, the kids love listening to you read a story about them! I was very impressed with the quality of the book too. The colors in the story are vivid and the illustrations are wonderful! I also love how some of the pages have the child’s name hidden in the pictures as well. It adds a fun touch to the book. The book is very beautiful and it will not disappoint you. However, if you plan to give this to your child for Christmas, make sure to order with plenty of time to print your custom book and ship to your home. As you can see, my son loves sitting and studying the vibrant pages of the adventure book. It will take him on an adventure every time he reads it. Order a Personalized My Radio Flyer Adventure Book and use Promo Code: DEVON15 to save 15% on your book order!!! You may notice the beautiful wagon my son is sitting in. This wagon belongs to his Grandmother and she allowed us to use it for photographs. The wagon will be 40 years old this Christmas and has taken my husband and his siblings on many adventures while growing up. Radio Flyer is celebrating their 100th anniversary this year and as you can see, they build quality adventure toys for kids that last. In celebration of their 100th anniversary, they are holding a Radio Flyer’s 25 Days of Holiday Giveaways! Starting November 21st and ending December 15th, 2017, you can enter each today to win that day’s special item! Make sure you stop by every day to enter to win!